A unique algorithm surfaces and ranks recipes out of a catalog of thousands (and growing, thanks to the culinary expertise of Alyssia Sheikh). Ranking is based on a number of factors and details in each recipe, and tailored for each individual cook. The result? Open the app just before lunch time on a hot summer day and immediately get suggestions for light, cold noodle dishes or quick healthful smoothies. 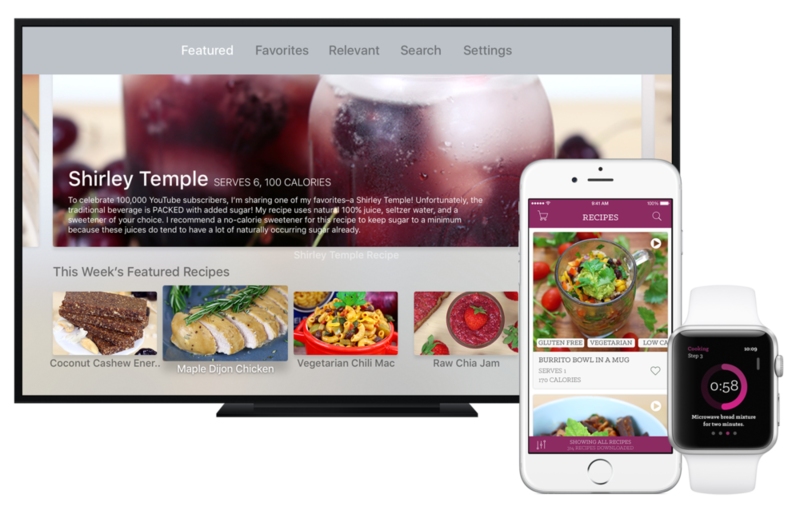 The Mind Over Munch® recipe app was designed and developed over two years to deliver users with a fresh, native cooking experience on their iPhone, Apple Watch, and Apple TV. Mind Over Munch® is a smart recipe app. It provides exactly the recipes you're craving, at precisely the right time -- and guilt-free too, because suggestions are tailored to your dietary goals and restrictions. A smart recipe app. Exactly the recipes you're craving, at precisely the right time -- and guilt-free too because suggestions are tailored to your dietary goals and restrictions. Early prototype designs for the multi-platform Mind Over Munch® app. Copyright © 2017 Mind Over Munch®, all rights reserved. Mind Over Munch® is a registered trademark. Intellectual property rights for this project, which has not been made publicly available, belong to Mind Over Munch. For more information about Mind Over Munch, visit mindovermunch.com. Copyright © 2019 Samuel Spencer. All Rights Reserved.